Just a little bit proud, actually, strike that - I’m pretty bloody chuffed to have our projects across three pages in the current House & Garden magazine April issue’s Garden Special. 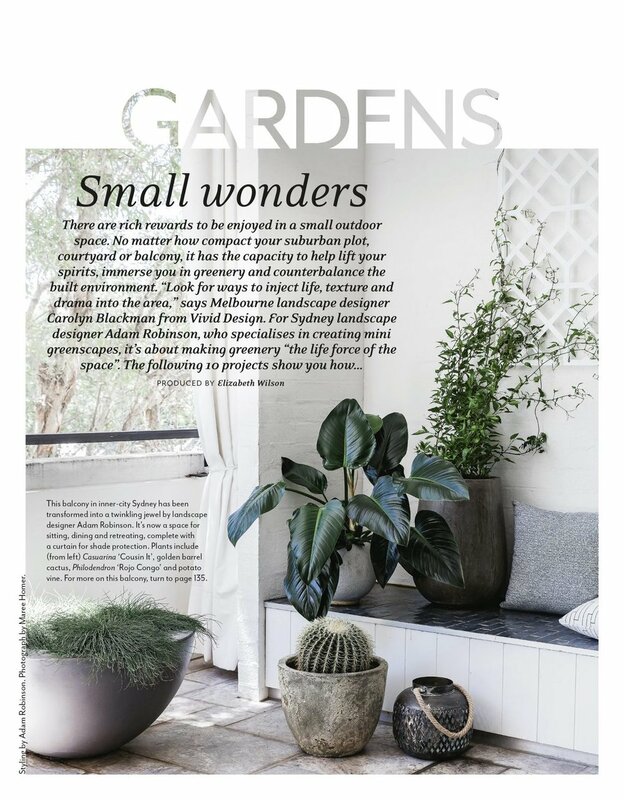 The first project featured is a balcony of a Sydney apartment that was named Best in Category at the AILDM National Landscape Design Awards 2016. It’s a lovely north-facing pocket oasis that receives direct sunlight and we’ve used two large exterior mirrors on the walls opposite each other to bounce the light around and reflect the greenery adding to the lush depth and vibrant feel of the space.